Heston Blumenthal, Sat Bains, Neil Perry and Alex Atala are now officially confirmed to attend the Margaret River Gourmet Escape 2013. They will lead the line-up of over 25 local and international wine and food personalities at the annual event, funded by the WA government’s Royalties for Regions initiative. The Margaret River Gourmet Escape will run on November 22-24. To find out more, go to www.gourmetescape.com.au. Local Janette Hartnett is holding an afternoon tea to assist the Amazon Perth Dragon Boats Club, which consists of breast cancer survivors who use boat racing to raise awareness. The event will take place on Sun, June 08th at the Margaret River CWA rooms from 1pm to 3pm. There will be a $5 admission charge, afternoon tea and raffles as well as special guest Melina Dichiera of the Breast Cancer Care WA. RSVP is required, call Janette Hartnett at 9758 8942 or 0458 364 367, or email netty@westnet.com.au for catering purposes. Over 40 businesses took part in the second e-business workshop held last Thursday at Quality Inn in Margaret River. Funded by the WA government’s Royalties for Regions, presented by Leanne Williamson of Q-Click and hosted by Small Business Centre South West, the workshop concentrated on formulating an e-business plan featuring smart phones, websites and tablets. For queries about local businesses, call Ms Sharpe at 0404 745 354. Prostate Active will hold the Perth to Margaret River Prostate Cancer Awareness Cycle event in September as part of Prostate Cancer Awareness month. Taking place on September 13-14, the event is designed to raise awareness about prostate cancer, which is the most common type of cancer in men in Australia with 20,000 new cases diagnosed every year. To register or find out more about the event, go to www.prostateactive.com. Augusta is bracing for a bumper whale spotting season, with humpback and southern right whales arriving off Cape Leeuwin just in time for the National Whale Day. The long weekend will mark the beginning of the season with tour operators Naturaliste Charters, Legend Charters and All Sea Charters starting their tours in Flinders Bay. Whales arrive in the region to feed, play and breed between June and September each year. 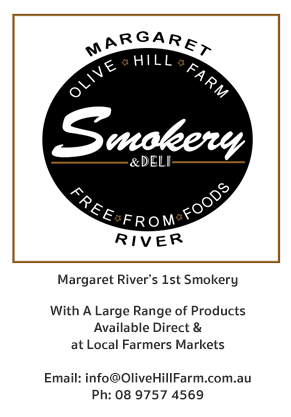 To find out more, call 9780 5911, email welcome@margaretriver.com or go to www.margaretriver.com. Around $30,000 were raised last Saturday at the Margaret River Art Auction held at the Cultural Centre, an extremely successful fundraising event for the Margaret River Independent School. The Kent Le Grand Memorial Award was presented to Rhonda Dornan by the late Le Grand’s son Barnabas who had come down all the way from Perth. The organisers thanked all the sponsors and artists for their generosity and cooperation to make the annual event a big success.